DIY Homecoming Mum Tutorial! Texas Style! 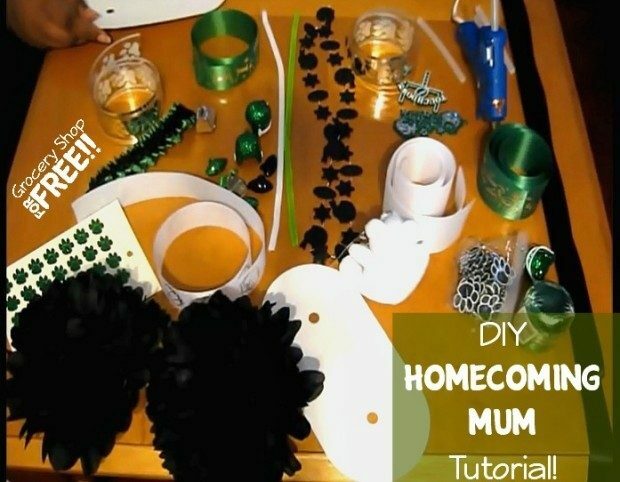 You are here: Home / DIY / DIY Homecoming Mum Tutorial! Texas Style! Homecoming is the Texas way of signaling fall. We start making no sew throws, spirit sticks, buttons, and the beloved homecoming mum. The homecoming mum is tradition and over the years, they have gotten super elaborate. It’s nevertoo early to start planning or picking up supplies along the way so that you are completely prepared! I am going to show you how to make a simple mum. Some mums can reach the price range of $10,000! Those mums are not for the frugal. I have a friend who makes homecoming mums for a living. She is super busy this time of year but she has the rest of the year to relax with her family. On a financial note, this lady brings in thousands a day. Yes, a day! You have to be very good at what you do and you have to be willing to do customizing to fit the customer. Its not for everyone. She takes orders years in advance and is quite meticulous about her work. To avoid getting bogged down with her work, she only makes a certain amount of mums a year. Her business is very strategically run. I will show you some examples of her time management tips in the future, but for now let’s make some homecoming mums!